When we first set out to do business, we knew that taking care of our clients was something we'd have to work hard to protect as we grew. We put tireless hours into building a process that ensures clients receive the best level of service from their dedicated account manager. From your first contact submission, to when you fly off on a blissful honeymoon adventure, we will take care of you, your family, and your friends. We'll check our calendar for availability - we typically book weddings around 12 months in advance! We'll send over our Wedding Questionnaire to gather some details about your event! We want to meet you! 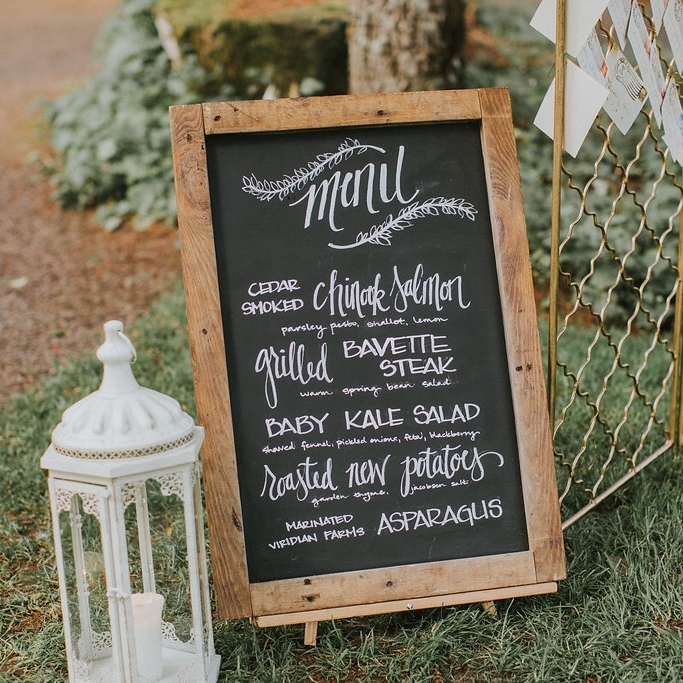 We'll talk wedding details and menu options over coffee or a glass of wine! If things are looking good and you'd like to continue further, let's taste some food! Let's share some more beverages and taste some of our items to give you a clear picture of our quality and presentation! From this point on, we'll work on the details of your wedding day. We'll visit the site together, talk timeline, and final headcounts. We're beside you and the rest of your vendor team every step of the way! For your cocktail hour, we offer stationary items or passed items. Priced separately, items can range from $1/person to $5/person. Whether you're looking to host a Family-Style meal, Plated meal, or a more casual Buffet meal - we price each menu based on the unique blend of selections. Depending on the number of sides and entrees, and the items themselves, our menus may range from $25/person to $35/person. While desserts have never been a focus for us (we like to leave cakes to the pros), we do provide some desserts when we're able. Let us know your ideas and we can talk pricing! An essential accompaniment to food, we'll provide beverages for all of your guests. Our bar service, White Pepper Tonics, is of the same quality and craft as our food. When we provide bar service, we provide everything. Take a look at our bar page to see some info and pricing regarding that! 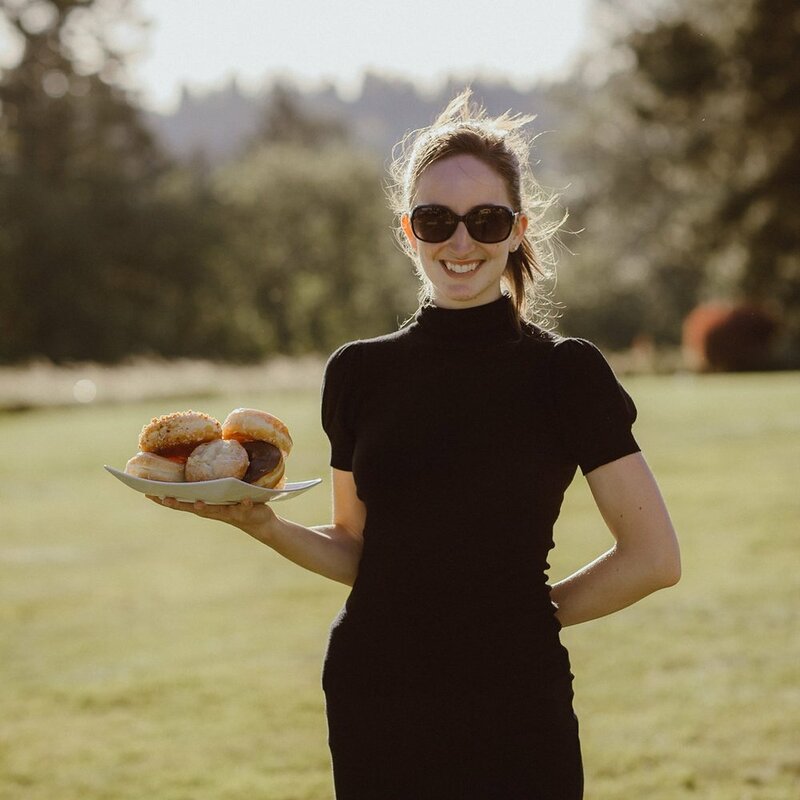 Our crew will be led by your Account Manager, who will oversee every aspect of your event. They'll be the first to arrive from our staff, and will be the last to leave. We are glad to facilitate rentals for you! Unlike many other caterers, we don't add a rental service fee for doing this - it's part of what we do! On average, our wedding clients end up spending around $9,000 for our services. When we offer pricing for our services, we want it to be as accurate, thorough, and complete as possible. Which is why we want to talk over things with you beforehand. Can we skip straight to the tasting? Sorry, but we have limited availability for tastings, and we want to walk down this path just a bit before we get to that point. We'll set this step up at the appropriate time. Why do you follow your steps so closely? Our process is tried and true. It's designed to help us take care of you and to ensure we're not missing steps and are gathering the proper information. Trust us; we've done this a lot. We've worked with hundreds of clients and we will take great care of you!